Your patients can access Video Remote Interpretation (VRI) whenever they need it with Translation Services USA's VRI translation service for hospitals. Translation Services USA's VRI service offers video translation in over virtually every language; we currently support over 95 languages with our network of thousands of translators and interpreters from around the world. Using the latest easy-setup video conferencing technology and apps, interpreters can connect securely with patients in seconds and help them communicate with hospital staff. We can also provide ASL over video for the deaf and hearing impaired. Many medical facilities throughout the country have turned to video translation services to accommodate patients who speak little or no English. 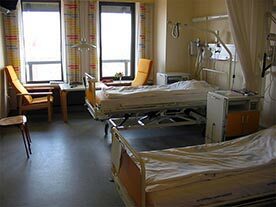 Translation Services USA makes it easy to the address the growing need for interpreters in these hospitals, particularly in big cities with large non-English-speaking or deaf populations. Translation Services USA ensures that all its translators and interpreters are able to effectively communicate with both patients and practitioners. All translators specialize in the medical field and its terminology, and agree to a non-disclosure agreement to ensure patient-doctor confidentiality and guard against liability. And by using VRI services provided by Translation Services USA, you can keep your and your patients' costs low. Consider the cost of using a remote interpreter through Translation Services USA compared to the cost of a traditional, in-person interpreter, which can cost as much as $30 per hour plus per-mile travel costs. With a low, per-minute rate and no travel costs incurred, the benefits of VRI by Translation Services USA is clear. Contact us today to discuss rates, services we provide, and get a free quote! And 75 more! View all the languages supported by Translation Services USA. When a non-English-speaking or deaf patient comes in and an interpreter is required, the care provider can provide a tablet (such as an iPad) to the patient and connect with the VRI service through Translation Services USA. 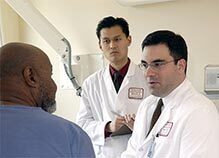 The interpreter then relays the patients concerns to the care provider, and the care provider's questions and instructions back to the patient. Patients who are already nervous will feel comforted by hearing their native language. Thousands of translators and interpreters from around the world. Easy setup and a secure connection. Contact Translation Services USA today to discuss our VRI service, our standard rates, what services we can provide you and your patients, and get a free quote!